Over/Under: Under 135.5 at 1.90 Bet Now! Both of these teams are still waiting on their first win of the 2016 Olympic Games, so that is something that will change tonight. Of course, it means the losing team will be marooned at the foot of the table with 3 points from their 3 games. Given that these are two least fancied teams in the group, some will predict that we are not in store for a great game. With this being the game in the middle of the night for UK and European basketball fans, it may be a hard sell to keep people awake but there are basketball betting opportunities available, which ensures there will be interest in the game. Venezuela come into this game on the back of a drubbing from USA but they won’t be the only team that suffers that fate this summer. In fact, China have already been defeated by the Americans so both of these teams know that they have already faced their toughest test. John Cox was the top man against USA with 19 points. China slipped to a 28 point loss against the French and they’ve endured a difficult time in their opening two games. Yi Jianlian provided 19 points in the defeat and he is likely to be the key player in this one if China have any hope of grabbing a win. 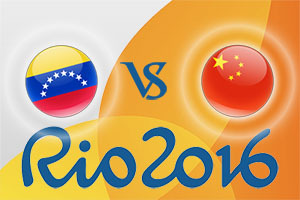 You may think that there isn’t too much between these teams but there is enough to suggest that Venezuela should be the stronger of the two sides. With this in mind, look to back Venezuela at -7.5, which you can find at odds of 1.90. Anyone looking for the Over/Under market should look to go UNDER 135.5, which is available at odds of 1.90. Bet Now! In the Race to 20 Points, Venezuela can be backed at odds of 1.46. If you fancy Venezuela to lead at half-time and full-time, you can back them to achieve this at odds of 1.66. The game starts at 0230 BST on Thursday 11th of August.